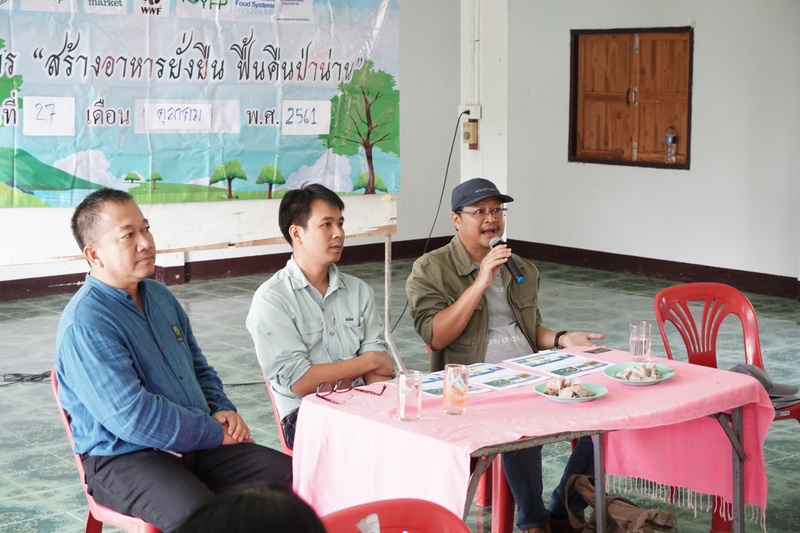 In Nan, a northern province in Thailand, Maize plantations has been identified as one of the major drivers of forest encroachment into watershed areas and slope areas causing damage to forest resources, ecosystem services and the food system. Maize is a very significant cause of deforestation and increased CO2 emissions and because it is usually grown on steep slopes, this leads to soil erosion and flooding. Intensive use of pesticides, herbicides, and fertilizer has produced water pollution and soil contamination. Maize plantation in Thailand’s watershed areas has, however, failed to uplift the livelihoods of most farmers as claimed. Most maize farmers continue to get trapped in a cycle of debt and live a destitute life. It has led to the deteriorating local economy and food production system has pushed farmers away from their ability to rely on themselves. Today, as a result of the negative environmental impacts of Maize production, many farmers are willing to turn towards a sustainable form of agriculture practice. Thus, the FLR349 Fund was developed to help farmers turn their agricultural operation from monoculture practices with intensive use of chemicals into an integrated agricultural system which helps to restore the environment. Based on the agroforestry strategy “Three Forests, Four Benefits” under His Majesty King Bhumibol Adulyadej’s “Sufficiency Economy Philosophy”, the sustainable model was derived out of the collection participation of all sectors. 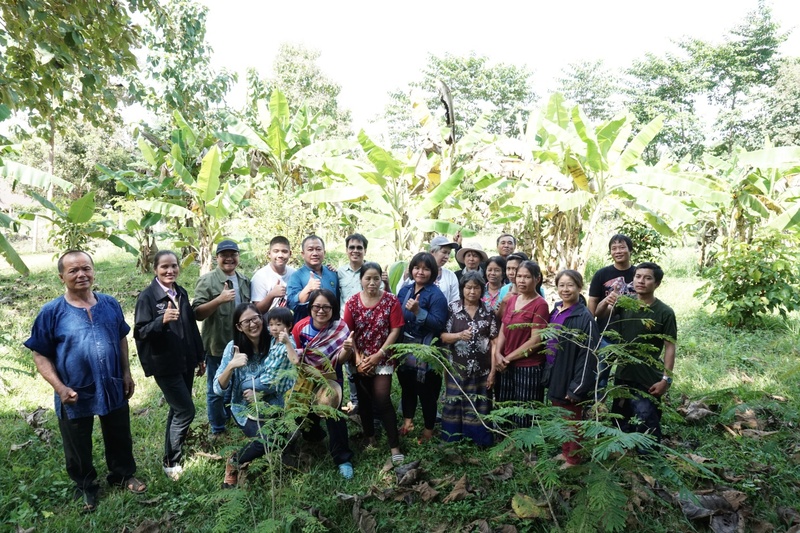 On October 27th, 2018, WWF-Thailand, in partnership with Central Group and the Nan Organic Agricultural Network (NON), established a localizing model for the advancement and promotion of forest restoration and sustainable food system under the FLR349 programme. 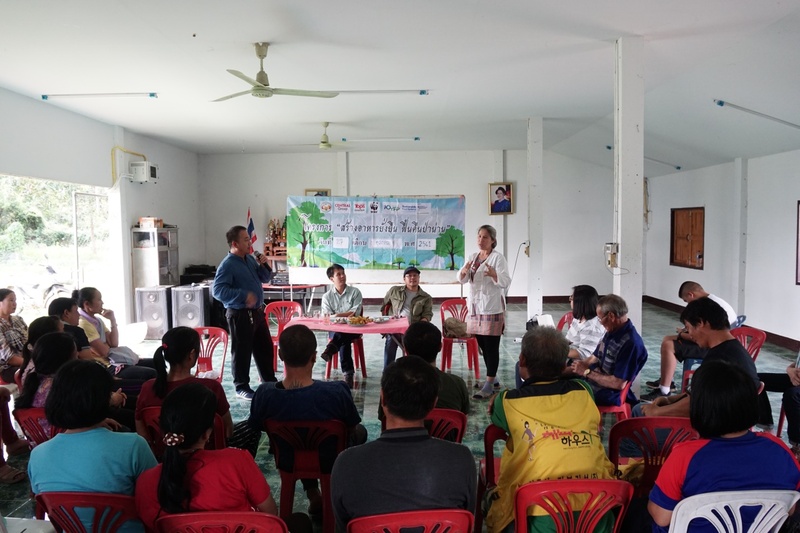 The funding scheme was well received by the local community of Bua Yai district, Na Noi province, Nan, with 35 families participating in the workshop. 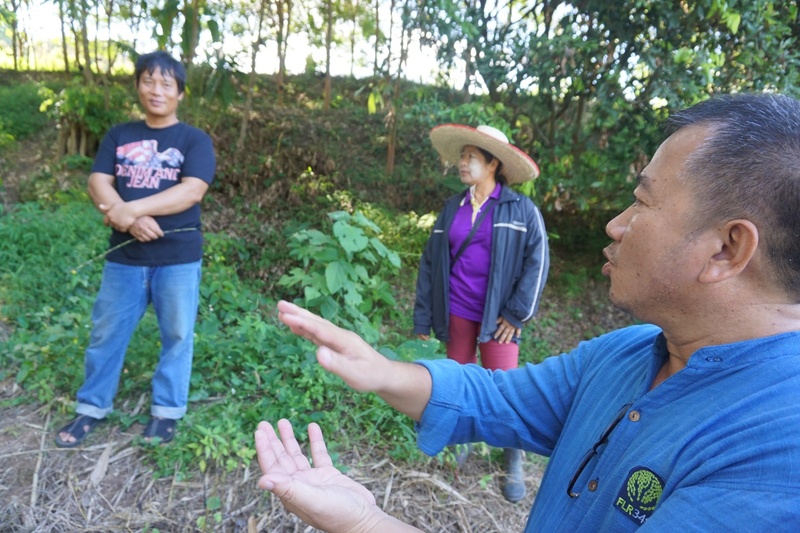 Participants in the training workshop were invited to learn more about the “Three Forests, Four Benefits” agricultural system which stresses on the plantation of perennial trees and diverse food crops (i.e. fruit, vegetables, herbs) in a mixed system that is sustainable, and which replenishes the soil. Participants were also encouraged to look towards the value of cacao plantation as a good source of income, alongside other crops. Planting cacao among other crops, such as fruit trees, provides numerous benefits to the local ecosystem: shade for the cacao tree, increase in biodiversity and additional food and income for the farmer’s family. The workshop also provided a knowledge sharing session on sustainable farming practices, including, plant seedling, organic farming, agricultural land and farmland adjustment, and finally, management and certification of food produce.